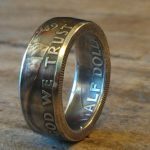 These coin rings are made from the first commemorative coin ever struck by the United states; the Colombian Exposition half dollar. They are dated either 1892 or 1893. 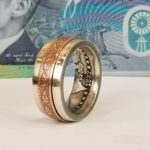 They are made of the same 90% silver as other half dollars of the time. They can be made from size 8-14. The first 3 pictures are a size 11. As they get smaller, they become more curved. The second 3 pictures are of a size 8 which is the most curved. Size 13-14 (not pictured) are slightly thinner. 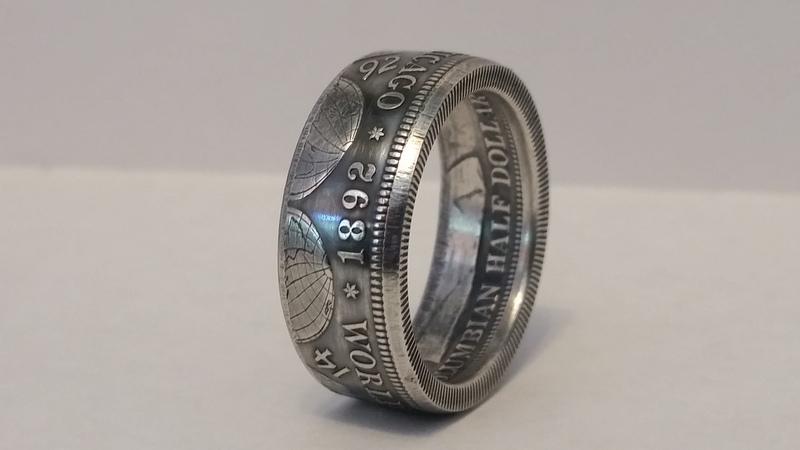 The Columbian half dollar is a coin issued by the Bureau of the Mint in 1892 and 1893. The first United States commemorative coin, it was issued both to raise funds for the 1893 World’s Columbian Exposition and mark the quadricentennial of the first voyage to the Americas of Christopher Columbus, whose portrait it bears. The Columbian half dollar was the first American coin to depict a historical person. 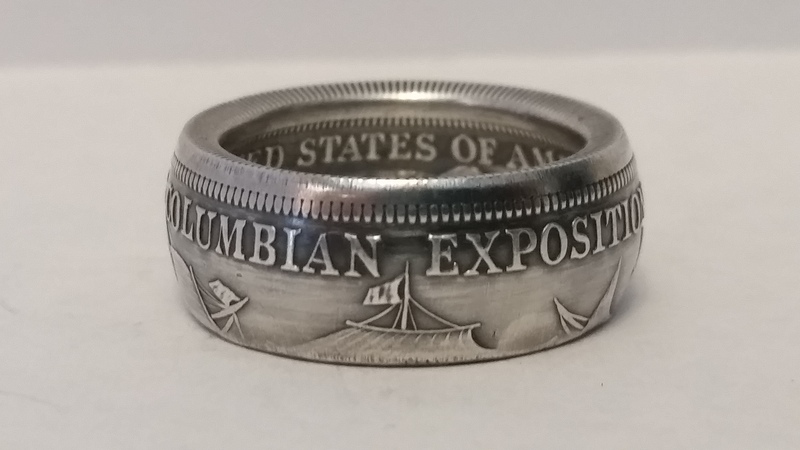 The coin stems from the desire of the Columbian Exposition’s organizers to gain federal money to complete construction of the fair. Congress granted an appropriation, and allowed it to be in the form of commemorative half dollars, which legislators and organizers believed could be sold at a premium. Fair official James Ellsworth wanted the new coin to be based on a 16th-century painting he owned by Lorenzo Lotto, reputedly of Columbus, and pushed for this through the design process. When initial sketches by Mint Chief Engraver Charles E. Barber proved unsatisfactory, fair organizers turned to a design by artist Olin Levi Warner, which after modification by Barber and by his assistant, George T. Morgan, was struck by the Mint. James W. Ellsworth of the World’s Fair Commission represented [the Company] … Over 2,000 of the souvenirs were struck today, and the work will continue until all of the 5,000,000 donated by Congress are completed … Unfortunately, the first attempt was a failure—a little flaw caused the coin’s rejection … Again the coin was lifted from the face of the steel die and critically examined by [Philadelphia Mint Chief] Coiner [William S.] Steele, Engraver Barber, and [Philadelphia Mint] Sup[erintenden]t [Oliver] Bosbyshell. Every line was sharply defined, and the strong features of the discoverer of America, which adorn the coin, seemed to look approvingly on the work. Numismatists Anthony Swiatek and Walter Breen, in their encyclopedia of early commemoratives, suggested that the “flawed” first specimen was not destroyed, but was given to Ellsworth, a noted coin collector who possessed rarities such as the Brasher doubloon and two specimens of the 1804 dollar. They deemed it unlikely that experienced Mint workers would have selected a flawed planchet to use in the first strike, and that Ellsworth obtained the piece with Bosbyshell’s agreement. On December 15, the Mint shipped five kegs of the new coins, each holding 10,000 pieces, to Chicago. Each keg held five bags with a thousand coins each, though in one keg, one bag was intentionally short four coins, as also in that keg was a cigar box containing four envelopes, with coins number 1, 400, 1492, and 1892 from the first day of production. The kegs were taken to the Chicago Sub-Treasury, and on December 19 at 1:00 pm conveyed to Room 404 of the Rand McNally Building, the exposition’s headquarters. There, Harlow N. Higinbotham, president of the Exposition Company, took mallet and chisel in hand and opened the keg, removing the cigar box. Placing three of the envelopes in his pocket, he displayed the first coin to the assembled crowd, then exchanged it for a check—Wyckoff, Seamans & Benedict (later the Remington Typewriter Company and makers of the official typewriter of the fair), was purchasing the first coin struck for $10,000 as a publicity stunt. That coin was donated to the newly established Columbian Museum (today the Field Museum). 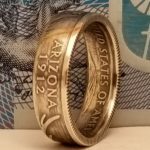 The Company immediately put the pieces on sale for $1 each, and the first shipment was soon all sold to those who lined up to buy them, had ordered them by mail, or had purchased them at local banks that were given allocations. No official packaging was provided; the pieces exist in holders supplied by various banks. The front side of the coin has an elegant likeness of the late Sitting Bull. This, however, is said to be meant for Columbus … There is also a likeness of Columbus’ ship under full sail. At first blush the ship seems to be on wheels, but closer examination shows that the two wheels are the eastern and western hemispheres. The ship seems to be surrounded by a herd of porpoises, but probably this is meant for waves. There is also a fishing pole rigged out of an after port in the cabin of the ship, and one gathers an idea that the venturesome mariner is either baiting his hook and lying about a bite he has just had, or has hauled in a fish, for the line is taken aboard ship. The figures 1492 appear beneath the vessel. 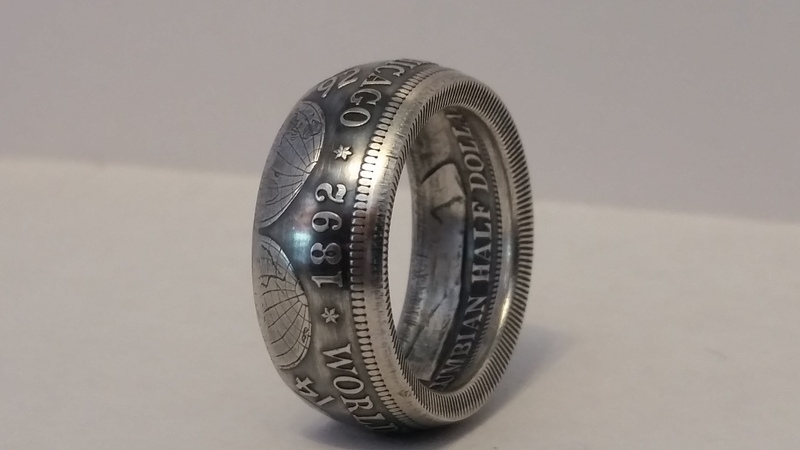 The coin is of the same size and weight as the old run of half dollars, and for all they are sold at a heavy premium, the purchasing power is but ten [nickel] beers. lsworth clipped one article criticizing the new coin and sent it to both Barber and Warner. Barber responded angrily with a five-page rebuttal, and suggesting that the Chicago newspapers not print “the opinions of people who display a deplorable amount of ignorance and likewise seem inclined to say ‘Stinking Fish’ “. Warner reacted with resignation, stating that he had not yet seen the new coin “but I’ll wager it doesn’t look like the model”. A major objection by critics was that Barber had lowered the relief of Warner’s badge to ensure the new coins met the standards of circulating coins and could stack properly; critics saw this as unnecessary as the coins were to be merely souvenirs, unlikely to enter circulation. A number of proof coins were issued at the suggestion of Barber and Superintendent Bosbyshell. Ellsworth was enthusiastic, intending the special strikes as gifts, but was forced to share them with Company president Higinbotham, to Ellsworth’s dismay. The proof coins for the year 1892 represented the first hundred coins struck, as well as numbers 400, 1492, and 1892. 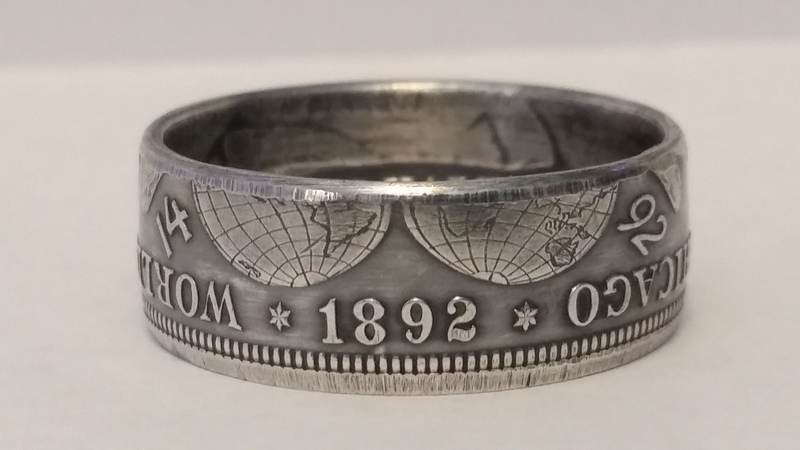 The total number of proof coins struck for 1893 is less certain: R.S. Yeoman’s A Guide Book of United States Coins states that approximately 100 proofs were struck for 1893, but numismatist Ira Goldberg in a 2011 article gives the number as fewer than ten. The first coin struck in the year 1893, in proof, is in the possession of the Chicago Historical Society. The Mint gave consideration to including the Columbian half dollar in proof sets, but at the time it sold proof coins for only a few cents above face value, and it would have to sell the proof Columbians for more than $1 so as to avoid devaluing the uncirculated commemoratives. Mint authorities decided against a public sale of proof Columbians. 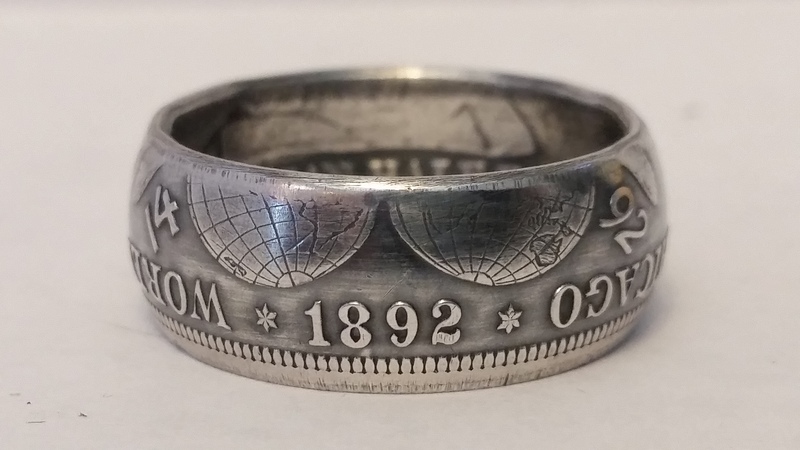 With the New Year, the coins were dated 1893; just over four million of the authorized mintage were struck with an 1893 date, with the remainder dated 1892. 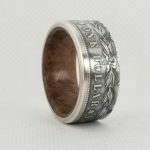 A total of 5,002,105 Columbian half dollars were struck, with the excess over the authorized mintage designated for inspection by the annual Assay Commission. By February 1893, sales had fallen off dramatically. The Exposition Company deposited 2,000,000 half dollars in Chicago banks as security for loans. In March, Congress impounded an additional 1,141,700 half dollars to cover costs advanced by the government, such as the expense of judging exhibits and providing medals to the exhibitors. The Company could redeem the half dollars if it agreed to fund that expense, which it refused to do, calling the government’s action a breach of faith. In return, the Company stated it was no longer bound by a provision of the 1892 act, which forbade the fair from opening on Sundays. Sales during the fair itself were promoted by such stunts as constructing a model of the Washington, D.C. Treasury Building out of the new half dollars, 20 feet (6.1 m) long and 4 feet (1.2 m) high. These coins were available for purchase, but could not be claimed until after the fair closed. In June 1893, fair authorities had half dollars stacked as a model of the Washington Monument, 22 feet (6.7 m) tall. 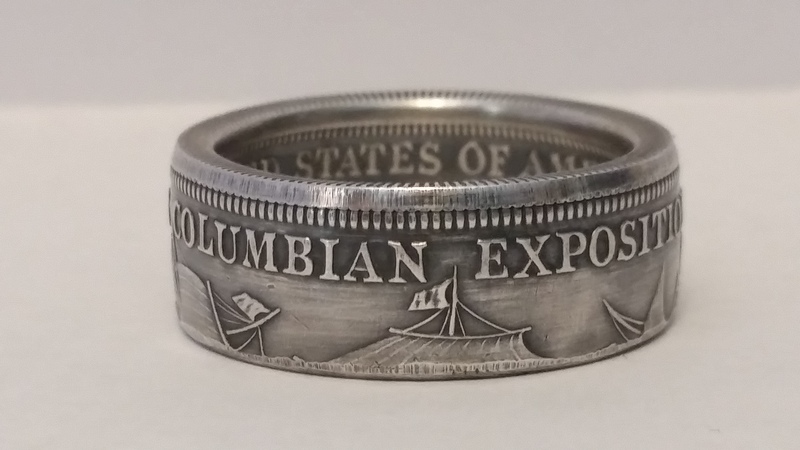 When the fair closed in October, large quantities of the half dollar remained in the hands of exposition organizers, the Treasury, and the Chicago banks—only 358,645 were sold to the public at the $1 price. With the fair closed, the question remained what to do with the some 4,600,000 half dollars which had not been sold. Organizers did not wish them to be issued, to preserve the premium price paid by purchasers. Those remaining in the Company’s hands were redeemed by the Mint, which melted them; the fee for this service was forgiven by act of Congress. The coins which had been impounded by the Treasury were offered for sale at face value beginning in October 1894; when there were few takers, they were released into circulation. A million coins held by the Chicago banks were also placed in circulation. 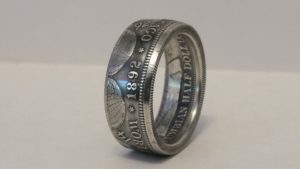 Although 2,501,700 half dollars were melted (all dated 1893), this still left a like number of Columbians in public hands. Coin dealer and numismatic historian Q. David Bowers recalls that when he began collecting coins as a boy in the 1950s, the Columbians were among the most common 19th-century pieces remaining in circulation. It was not until the 1930s that the pieces, in uncirculated condition, commanded the original price of $1. Prices began to rise as silver coins were replaced by base metal ones in the 1960s. In the 2012 version of Yeoman’s catalog, both pieces are listed at under $20 in almost uncirculated (AU-50) condition, with specimens in near-pristine MS-66 selling for over a thousand dollars.